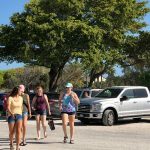 Pedestrian safety, traffic and parking are long-established problems for Pine Avenue in Anna Maria. Public works manager Dean Jones, who was tasked by the city commission to suggest improvements block-by-block, presented his findings for the 200 and 300 blocks to city commissioners March 14. Jones said he spent a week studying the avenue in-person, noting where people crossed Pine, identifying hot spots for potential problems and spacing for more parking. He said he conferred with Mayor Dan Murphy about his suggestions and made some changes before his presentation. Murphy prefaced Jones’ presentation by stating the improvements are not final solutions, but rather short-term ideas for Pine Avenue. He added that the city would use contingency funds for any fixes. For the 200 block, Jones proposed adding a high-intensity crosswalk near the trolley stop west of the Donut Experiment at 210C Pine Ave., as well as at the crosswalk on Pine Avenue on the south side of the intersection with North Shore Drive. Jones also proposed crosswalk markings across North Shore at the intersection. Currently, there are crosswalks on the north and east sides of the intersection, but Jones said he witnessed people disregarding them to walk across the other sides of the street. Also, he suggested converting a “no parking area” on the south side of Pine across from the Donut Experiment to a loading zone to be used for deliveries to nearby shops. Commissioner Doug Copeland said the conversion was a good idea, but suggested loading zone hours so the area also could be used for public parking — probably three spaces. Jones said he would measure the area and return to the commission with suggestions for parking that would not impede access at the nearby trolley stop. For the 300 block, Jones proposed adding high-intensity crosswalks on the south and west sides of the intersection at Crescent Drive and Pine — which he called unsafe for pedestrians — as well as a double-line crosswalk on the south side of Pine. Currently, a high-intensity crosswalk is on the north side of the intersection, with a double-line crosswalk on the east side. He also proposed a double-line crosswalk across the north side of the T-intersection at Los Cedros Drive and Pine, where no crosswalk currently exists. Copeland asked Manatee County Sheriff’s Sgt. Mike Jones how he’d to encourage crosswalk use because he’s seen people cross Pine outside of crosswalks. Jones said the city could launch a campaign encouraging crosswalk use or ticket offenders. 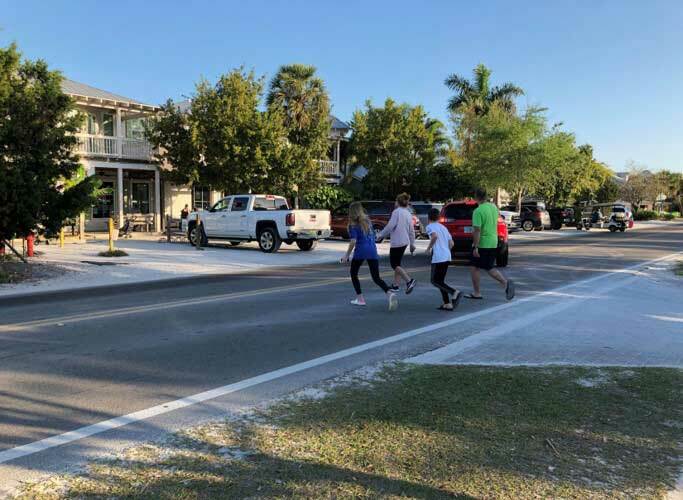 Jaywalking in Anna Maria is a noncriminal infraction, punishable by a civil penalty not to exceed $500 as determined by a judge or special magistrate. Seymour suggested a public-safety day, when deputies would be stationed along the avenue to encourage crosswalk use, as well as ticket jaywalkers. 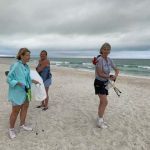 Jones said the next step would be to establish the cost — estimated at $10,000 — and gain commission approval for the improvements. The city would next issue a request for proposals to contractors. 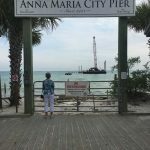 Jones said he would finalize his proposal for the two blocks by the next commission meeting at 6 p.m. Thursday, March 28. “At some point, something is going to happen, and we have to do something about it,” Jones said.